After amassing a fortune of two million dollars, you’d think that Scrooge McDuck would be content. Far from it-if there’s potential for more, Uncle Scrooge won’t rest until he’s richer! ‘My Third Million’ finds Scrooge in unusual circumstances, and richer in both money and experience. The third of four issues detailing how Uncle Scrooge made his first four million dollars! 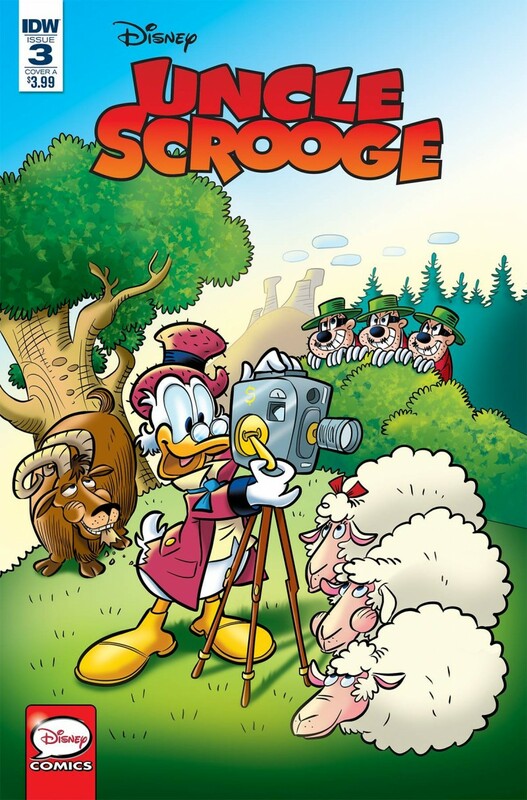 It’s Uncle Scrooge like you’ve never seen him before?mostly! Brand-new covers make this miniseries a special one for fans of all ages!